The enormous capacity of the SanDisk Cruzer Blade 8GB USB 2.0 flash drive allows you to carry your favourite movies, songs, videos and pictures wherever you go. Its lightweight and thumb-sized design makes it ultraportable and easy to carry around. A small loop at the rear end of the SanDisk 8GB flash drive enables it to be attached with a lanyard or key ring, which enhances its portability, reduces the risk of losing this tiny device and also makes it easy to site. 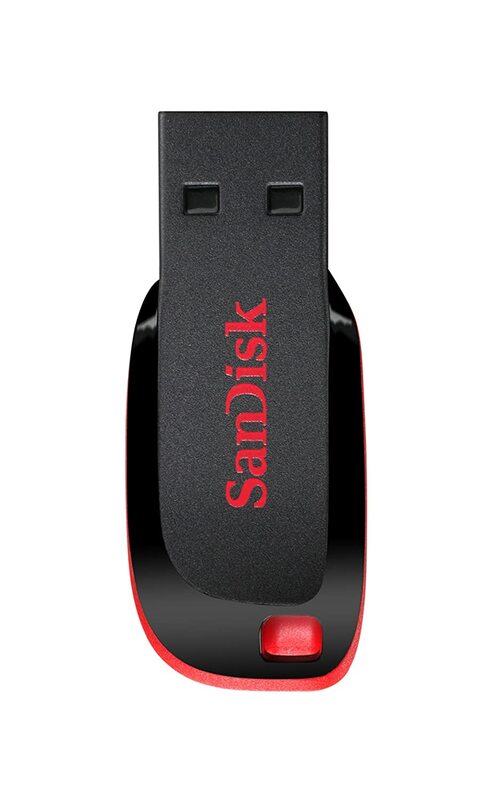 The SanDisk flash drive is available in smart black and red combination, which makes it visually all the more appealing. Now your data will be protected from prying eyes even if you share your SanDisk Cruzer Blade flash drive with somebody, as the SecureAccess from SanDisk ensures that the saved content is viewed only by people you permit access to. Lock sensitive or confidential data in password-protected folders secured by 128-bit AES encryption. Transferring data in your SanDisk 8GB pen drive is easy and simple. After a one-time download and installation of the drivers, you can just plug the device and drag-and-drop the items you wish to store in your portable flash drive.